Robert Snodgrass has been charged by the FA for allegedly using abusive language towards UK anti-doping officials at West Ham's training ground. It is alleged Snodgrass used abusive and/or insulting words towards the officials who were visiting West Ham's training ground on February 6 to conduct out-of-competition testing. 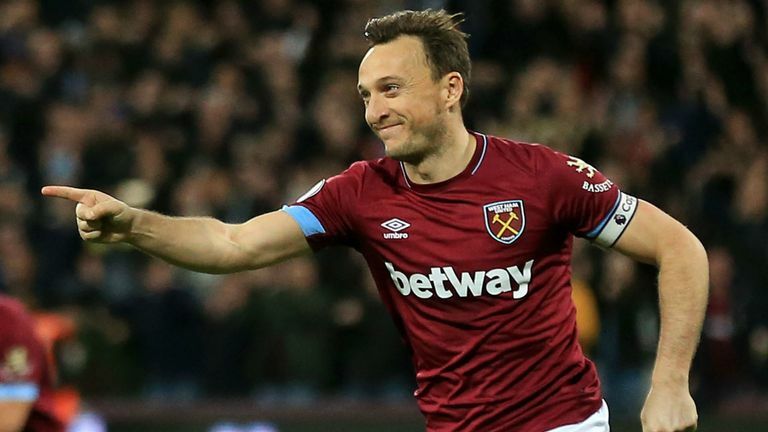 The alleged comment was made at the West Ham training ground on a day the doping team arrived to randomly test a group of other players, Sky Sports News understands. Highlights from West Ham's win over Newcastle in the Premier League. Scotland international Snodgrass was not tested and was not due to be tested as he did not appear on this list of players, but was simply in attendance at the time of the alleged comment. He has until March 18 to respond to the charge. Snodgrass has scored four goals in 32 appearances for Manuel Pellegrini's side this season and played the whole of their 2-0 win over Newcastle at the London Stadium on Saturday.